Google Drive on iOS really wants all of your photos. In an update, the app picked up 3D Touch support, with photo upload being a default menu item. You can also search for files you’ve got stored in Drive, and the app will notify you if someone has shared something with you. 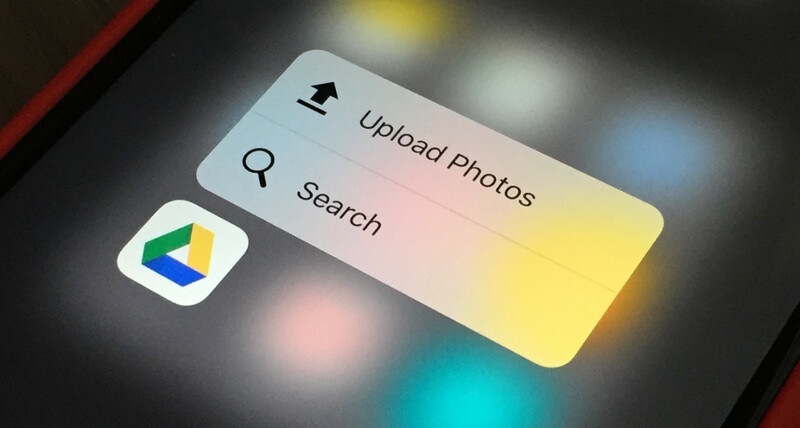 In addition to uploading your photos, 3D Touch will also let you open recent files. If you’re a fan of using iOS’ search feature for finding your files, Drive now supports deep linking.